When you put horizontal sweep rate to a very low value you will finaly see the filter response curve. This is not very exact due to the lack of frequency readout on the scope’s x axis but it is OK if you want to check the flatness of a filter. And it is quickly done. But due to my fascination for exact things I will trigger the scope by the microcontroller so that I can deduce a unit of khz per cm on my scope screen. 73 and thanks for watching my blog! //W32...W39 all bits are 0! That`s a very interesting experiment. 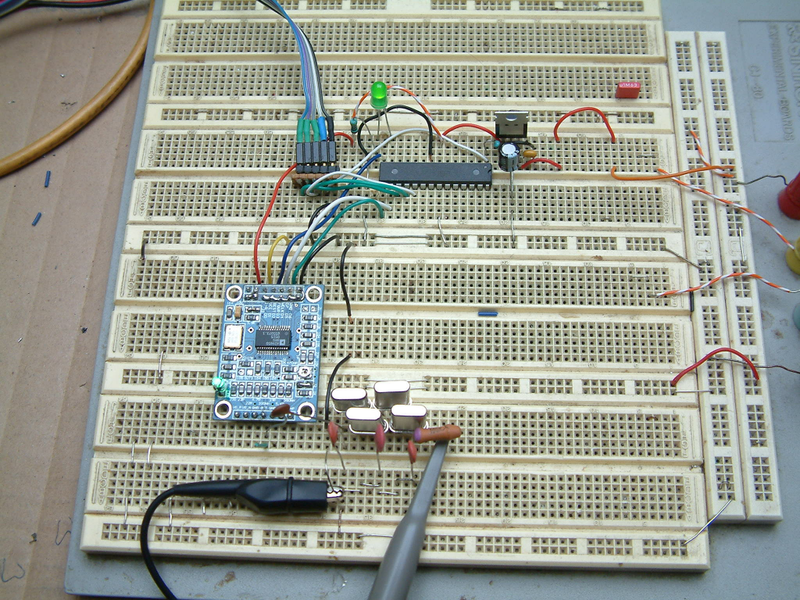 I`m trying to use a similar Chinese DDS module as a VFO for a 20 meters, QRP SSB transceiver (OzQRP`s MST-3 radio kit, actually). I’ll have to adjust the DDS output level to match the SA612 mixer clock input voltage level and I was wondering what was the filter response. 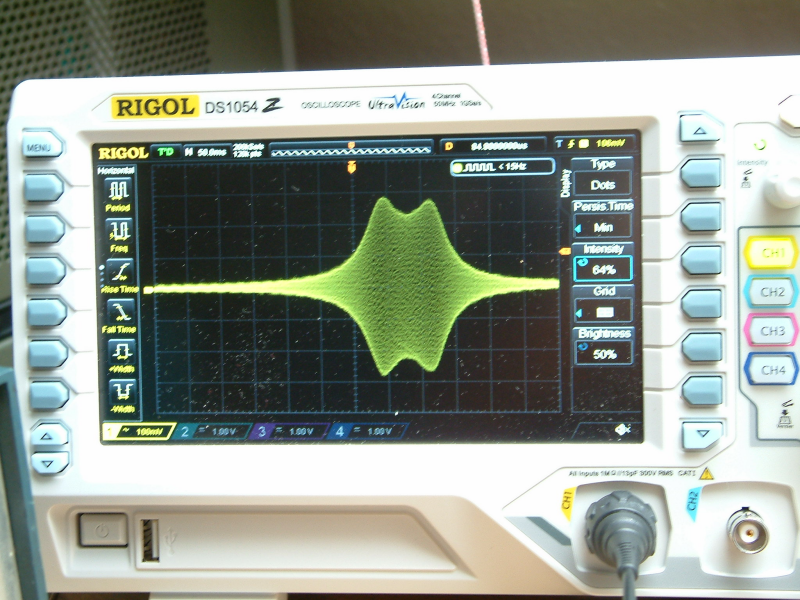 It seems to peak between two frequency values on the scope photo. Can you tell at which frequency? the filter was designed, iirc, for 9830 kHz. But I did such a lot of tests with all the bunches of crystals I have on stock here. They are in the range of 4096 kHz to 15360 kHz (about 10 different values). But 9830 kHz should have been the test from, the photo. But with all experiments there were no preselection measures taken (like selecting the crystals for nearest match to a given frequency by checking them within an oscillator) before. It was just a random choice.